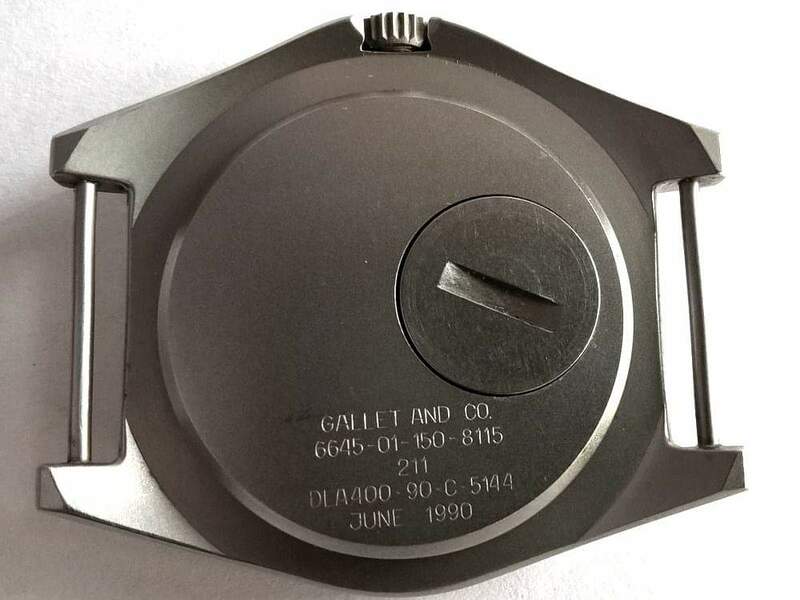 David Laurence who is managing director at Gallet provided the story and original photos in the first portion of this post and Frédéric Beck provided the second portion to which I have a link to. His article is in French so google translate is a good tool to use. From the mid-1980's through the Gulf War of 1990, Gallet supplied thousands of Marathon and Adanac Navigator watches to the Unites States Air Force. Prior to each GSA contract, prototypes were provided to the war department for testing and approval. In 1990, five prototypes were shipped from Switzerland for testing just prior to the Gulf War with "Desert Storm" printed on the dials. These 5 watches were immediately rejected and sent back as the name of the "Desert Storm" mission was still secret and not yet released to the public. 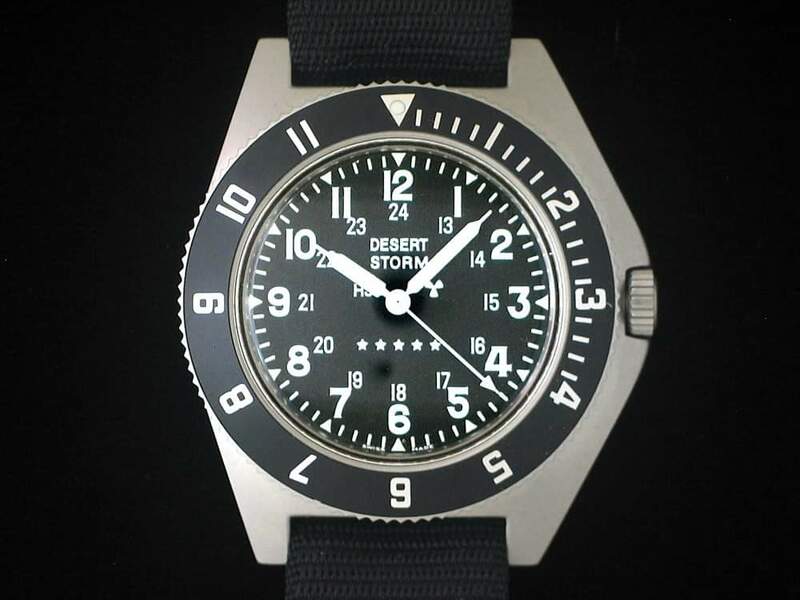 Shortly after one of these rare prototypes was placed on display at the National Watch and Clock Museum in 2008, Marathon examples with altered Desert Storm dials began appearing on the secondary market. The only 5 genuine Desert Storm prototypes are those as shown with the GSA and June 1990 stamping on the reverse, equipped with the smaller setting crown that sits flush with the side of the case. Marathon Navigator ref. 211, called "Gulf War"
The First Gulf War did not just launch the drama of the reconposition of the Middle East which we have not stopped following, from season to season, the tragic episodes. It has, from an anecdotal angle, sparked the creation, for the US Air Force, of an interesting watch: the "Gulf War" version of the Navigator Marathon ref. 211. Marathon Watch originated from the Wein brothers, founders of Weinsturm Watch Co. in 1904. In 1939, Morris Wein established Marathon Watch in Canada to market quality watches in the North American market. The advent of the Second World War, almost concomitant, led him to become, from 1941, supplier of the Allied Forces, while maintaining production in Switzerland, La Chaux-de-Fonds. Since then, Marathon has remained a supplier of measuring instruments for military use, be it time, temperature or distance.